Chronic kidney disease (CKD), which affects people of all ages, can result in chronic renal failure, its most significant outcome. 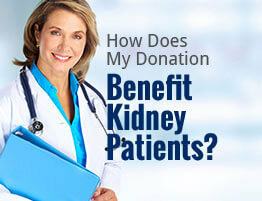 More than 31 million Americans suffer from CKD. 14,000 people receive kidney transplants annually. However nearly 100,000 people remain on the kidney transplant list.